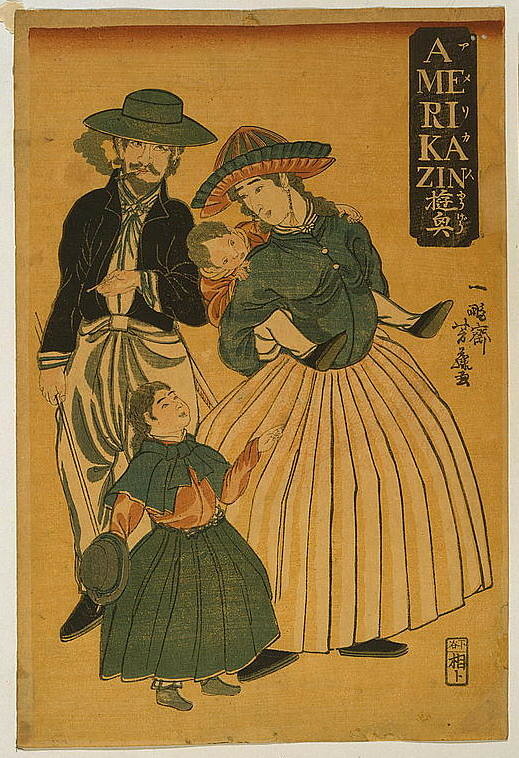 A selection of Yokohama-e (literally “Yokohama pictures”), a type of ukiyo-e Japanese woodblock print which focused on depicting the foreigners who flooded through Yokohama during the 1860s and 70s, in particular North Americans. 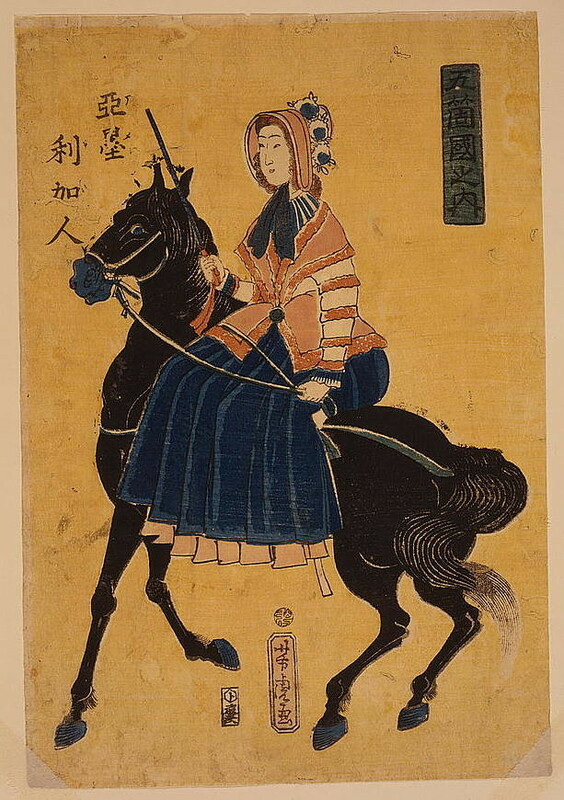 Prints from various artists are shown below including two of the most profilic in this Yokohama-e form, Utagawa Yoshitora and Utagawa Yoshikazu. 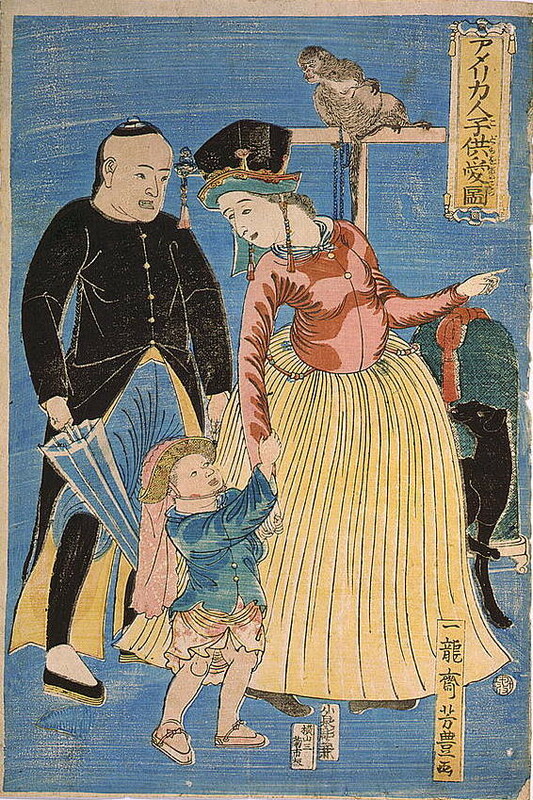 Although the Portuguese, Spanish, and Dutch had engaged in regular trade with Japan during the sixteenth and seventeenth centuries, Japan had limited its trade and contact with the West from 1639 onwards due to the persistent attempts by Europeans to convert the population to Catholicism and the western countries’ habit of unfair trading practices. 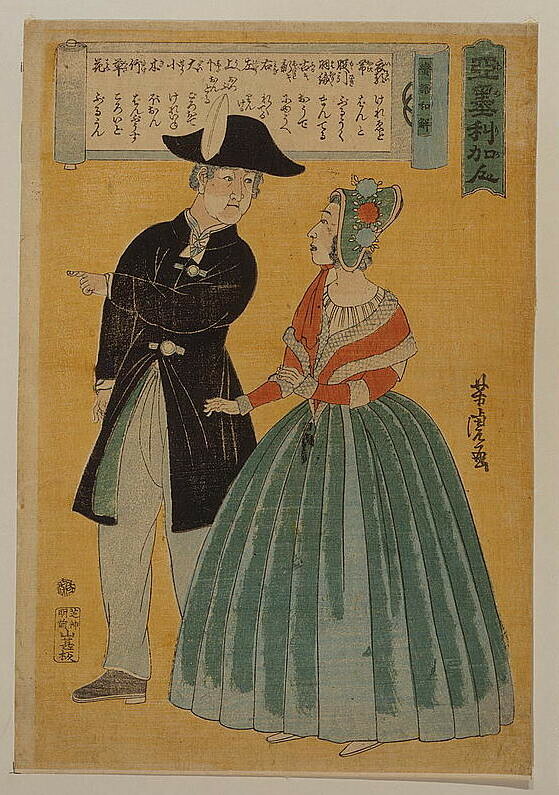 For the next two centuries, limited trade access was granted only to certain Dutch and Chinese ships with special charters. 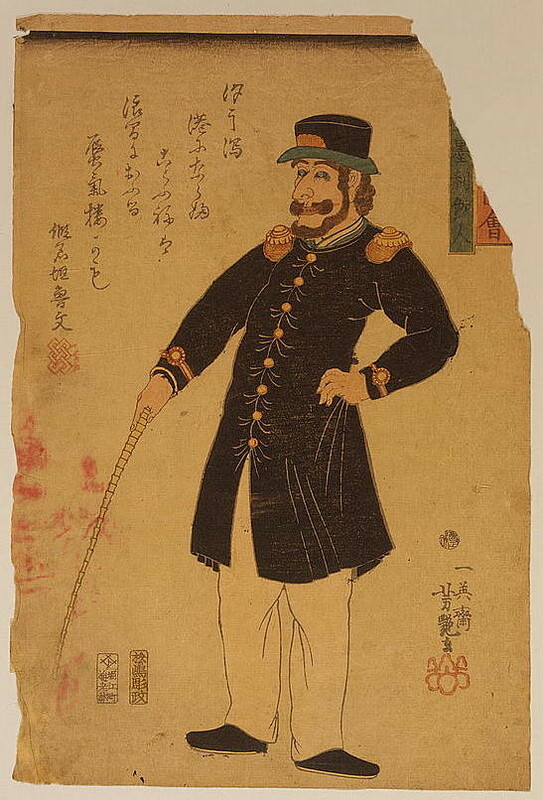 The United States’ interest in regaining contact with Japan during the nineteenth century sprung from the annexation of California, which created an American port in the Pacific, enabling trade with the newly opened ports of China, and also creating the need for coaling stations en route. 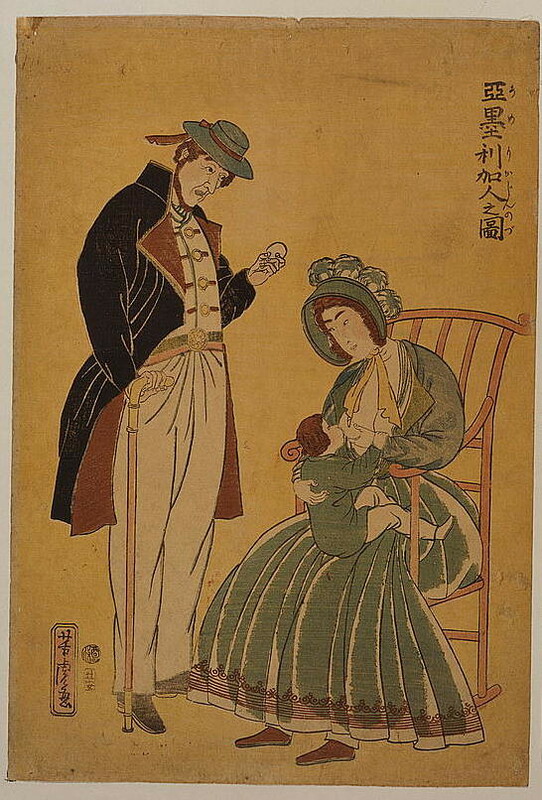 The Treaty of Kanagawa was signed in March 1854, leading to the opening of two Japanese ports, as well as the establishing of an American consul in Japan. 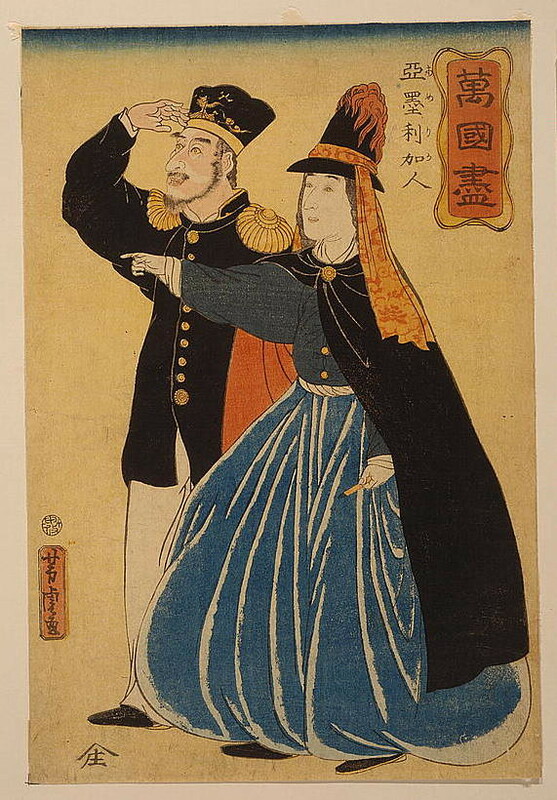 Although Kanagawa was meant to become the port for foreign trade and residency, it was located along the Tōkaidō, the main east-west road which the Japanese government didn’t want foreigners to access. 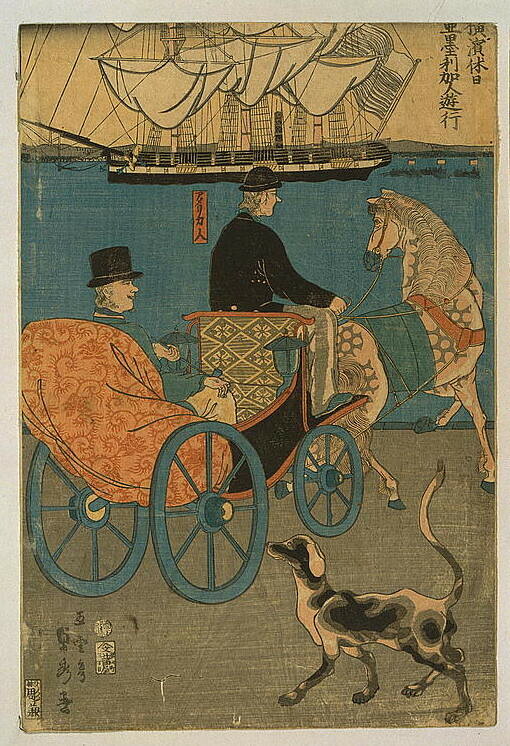 Instead, the small fishing village of Yokohama grew to become the base for foreign trade, opening in 1859. 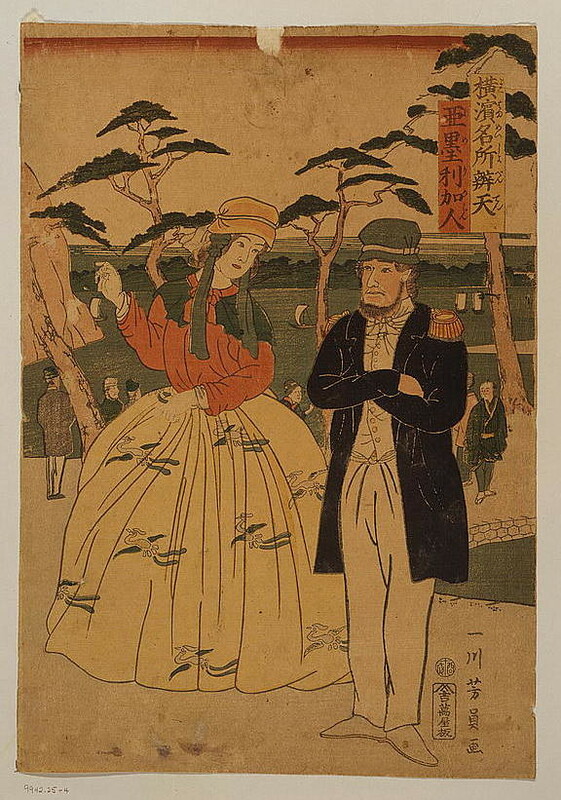 Through these Westerners who came to Yokohama, western fashion, photography, ice cream, rugby, and cricket were introduced to Japan. 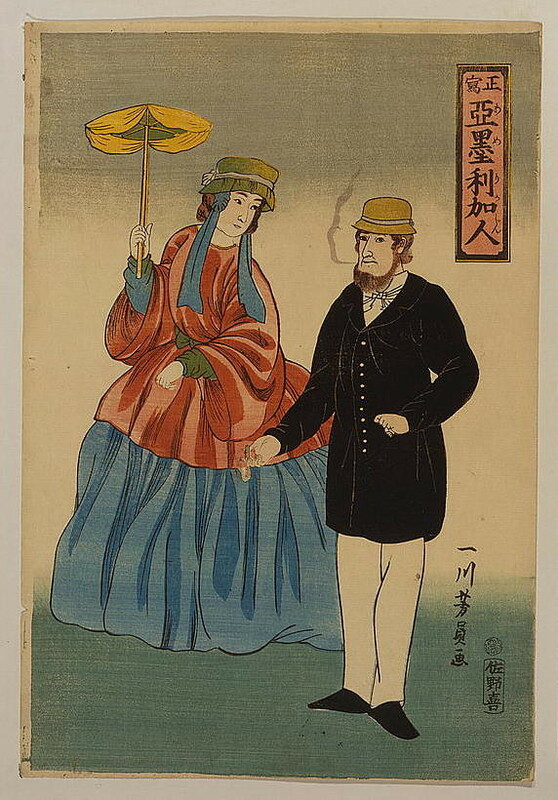 For more on a similar theme see our post on Japanese prints from the 1870s depicting Western inventors, artists, and scholars.